An up–to–date, comprehensive guide to heterojunction bipolar transistor technology. Owing to their superior performance in microwave and millimeter–wave applications, heterojunction bipolar transistors (HBTs) have become a major force in mobile and wireless communications. This book offers an integrated treatment of SiGe, GaAs, and InP HBTs, presenting a much–needed overview of HBTs based on different materials systems–their fabrication, analysis, and testing procedures. Highly respected expert Jiann S. Yuan discusses in depth the dc and RF performance and modeling of HBT devices, including simulation, thermal instability, reliability, low–temperature and high–temperature performance, and HBT analog and digital circuits. He provides step–by–step presentations of HBT materials–including Si HBTs and III–V and IV–IV compound HBTs, which are rarely described in the literature. Also covered are device and circuit interaction as well as specific high–speed devices in mobile and wireless communications. This immensely useful guide to a rapidly expanding field includes more than 200 figures, tables of different material systems in terms of their physical parameters, and up–to–date experimental results culled from the latest research. 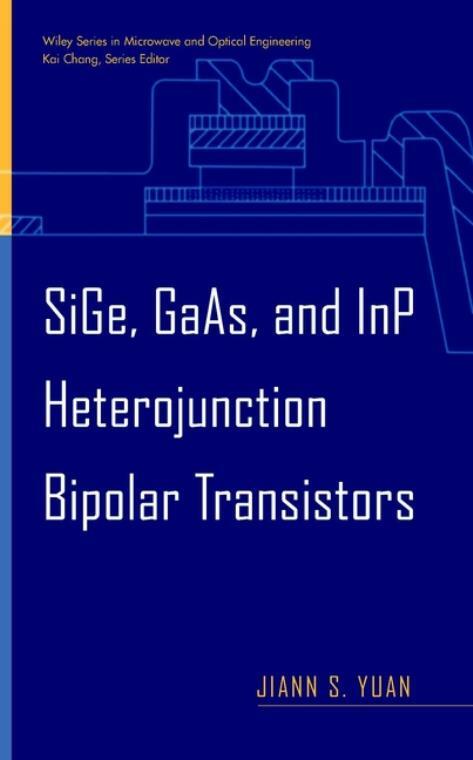 An essential resource for circuit and device designers in the semiconductor industry, SiGe, GaAs, and InP Heterojunction Bipolar Transistors is also useful for graduate students in electrical engineering, applied physics, and materials science. RF and Digital Circuits for Low–Voltage Applications.